What? ARE YOU SERIOUS?! 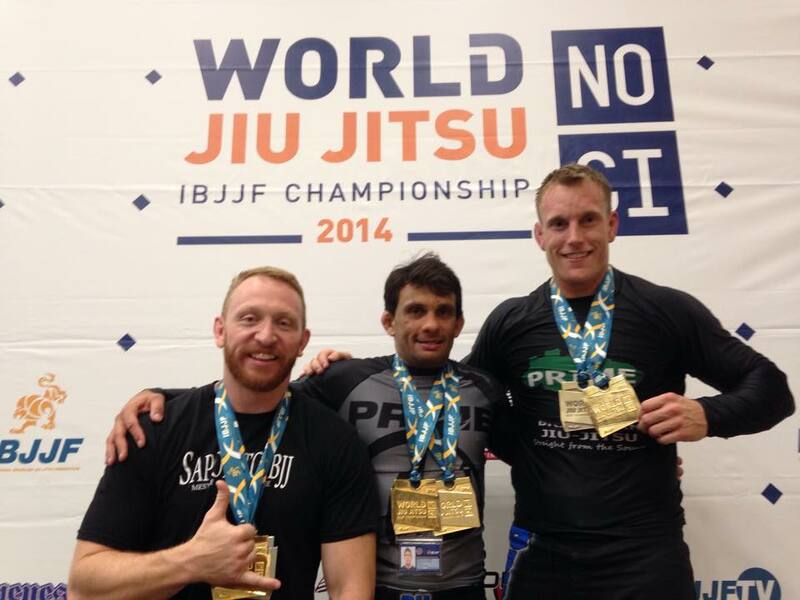 Prime BJJ really did place within the TOP TEN SCHOOLS out of all of the hundreds of schools represented in California at the International Brazilian Jiu-Jitsu Federation (IBJJF) World Championships? Most of those schools have multiple locations; we’ve just got the one in Colorado Springs, Colorado! What an honor. So who is responsible for all the junk in the trunk….errr….that is all the medals in their suitcases? Professor Marcelo Motta, Professor Adam Wheeler, Coach Tim Varallo, Lucas Garcia, and Danny Garcia. The highlight of the competition was definitely the DOUBLE GOLD earned by Prime’s Head Professor, Marcelo Motta. Marcelo won his weight division, light weight, and then went on to the Absolute division with the finals match against UFC and Pride veteran, Renato “Babalu” Sobral. Babalu is an ultra heavy weight, yet Marcelo managed to leave the competition without having a single point scored on him. Watching was a bit like seeing David fight Goliath, with an arm shake from the giant Babalu sending Marcelo flying across the mat at one point. Alas, the clock ran out with Marcelo hanging off the back of Babalu, looking more like a backpack than a human. 2 other great milestones were accomplished by Adam Wheeler and Tim Varallo. Tim Varallo scored his 3rd Worlds victory- making him a 3 TIME WORLD CHAMPIONS, something to be proud of for sure. Lastly, Adam Wheeler, who also earned a bronze medal in Greco-Roman wrestling during the 2008 Summer Olympics, earned his first Brazilian Jiu-Jitsu major title. He can now boast major titles in 2 different sports.